Recently I acquired a number of Cercle documents. 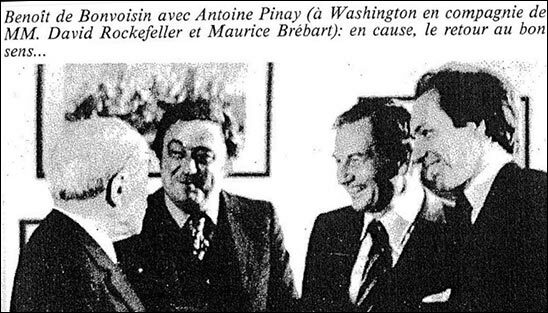 They come from the private papers of French Cercle visitor Monqiue Garnier-Lancon at Stanford University. These are the first official Cercle papers to ever reach the public, which is quite bizarre considering the Cercle was founded in 1953 (we know the exact date due to work done by Adrian Hanni) and has been meeting annually or bi-annually up until the present day. I received the lists in April of this year, but now seven months later there's still no way of telling if these lists will ever be used in a book or article. So largely in response to David Teacher's publication of the third edition of his book Rogue Agents, I've decided to make these lists public. In this way David (or anyone else) is free to incorporate the information in his or her own research. 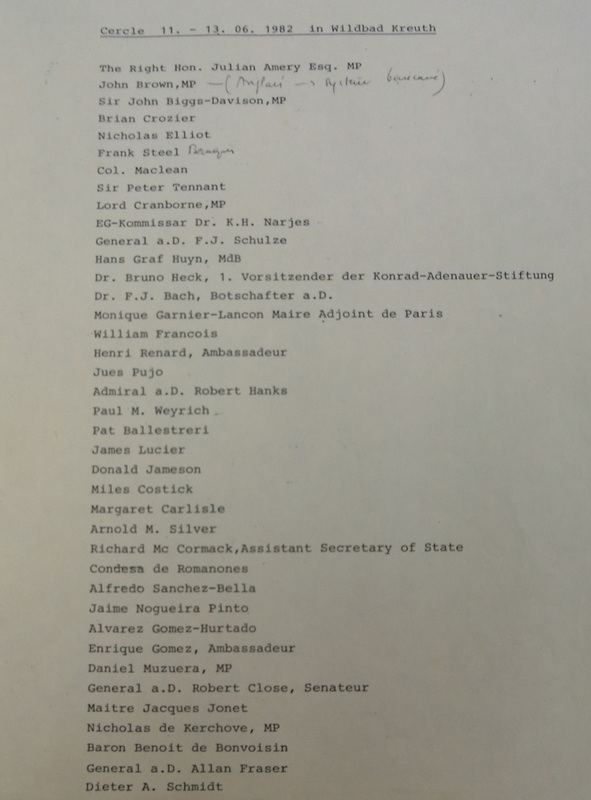 At this point well over a hundred pages of biographical information has been written based on these names, as well as a good portion of a new Cercle essay - which I may or may not finish in the future. Le Cercle and the Struggle for the European Continent. Le Cercle and the Struggle for the Eurasian Continent. ISGP received the following documents from David Teacher in late 2011 or early 2012. They came from Swiss researcher Adrian Hanni, who was inspired to research Le Cercle after publications of David Teacher and ISGP. After sitting on these documents for five years, and losing them once as a result, I think it's in the public benefit to release them. September 18, 1991, Cercle history by chairman Julian Amery, plus an additional version, both apparently drafts. November 13, 1991, Cercle history by chairman Julian Amery. November 28, 1995, official internal Cercle history in French. Gratitude to David Teacher for making me aware of it around 2015.